A waterproof boot to use over a bandaged paw or leg. 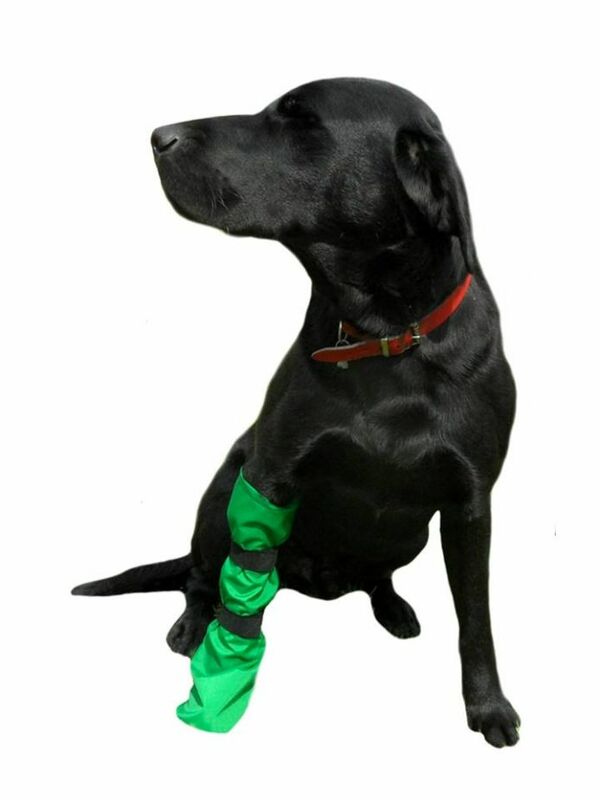 Ideal for letting your dog go out into the garden while recovering from an injury. It is a straight sided cylindrical shaped sock with a vinyl base and elasticated velcro fastenings. Not suitable for long walks but perfect for garden and kennel use. Colour of product may vary.